Back by popular demand – the Inner Varnika shuttle bus, taking you alive and direct from Melbourne to the plains. For just $60, you can get there and back again, in safety and comfort. Seats are limited, so get in quick. Depart Melbourne, Southern Cross Station – Friday 30th of March at 11am. Depart Inner Varnika – Monday 2nd of April at 10am. Once purchased you will receive confirmation and all the finer details via email. *Please be aware that space for luggage is limited, and a maximum of 2 backpacks per person will apply. **If we sell less than 50% of the bus tickets, we will have to cancel the bus for financial reasons. But don’t fret – we will refund you and inform you with plenty of time to make other arrangements. The bus will leave Melbourne Friday 30th of March at 11am sharp. The departure spot in Melbourne will be at Southern Cross Station at the general bus parking bay. An Inner Varnika crew member will be there waiting for you. Ensure that you arrive half an hour early to allow for your baggage to be placed on the bus, your tickets to be processed, and a timely departure for all. There are no physical tickets for the bus. Bring your ID and festival ticket, as we cross-check your name at the departure spot. Please pack as lightly and practically as you can. There will be room for two large suitcases or an equivalent amount of baggage per person. We understand you may need to bring camping gear, but please do your best to pack smart and light! The limit for each passenger taking the bus is two six packs (or 12 cans of beer, cider or premixed) OR a 2L cask of boxed red or white wine. Any alcohol in excess of this limit will be confiscated and not returned. We only sell bus tickets online, so make sure you inform your mates if you want to travel together. They will sell out quick. 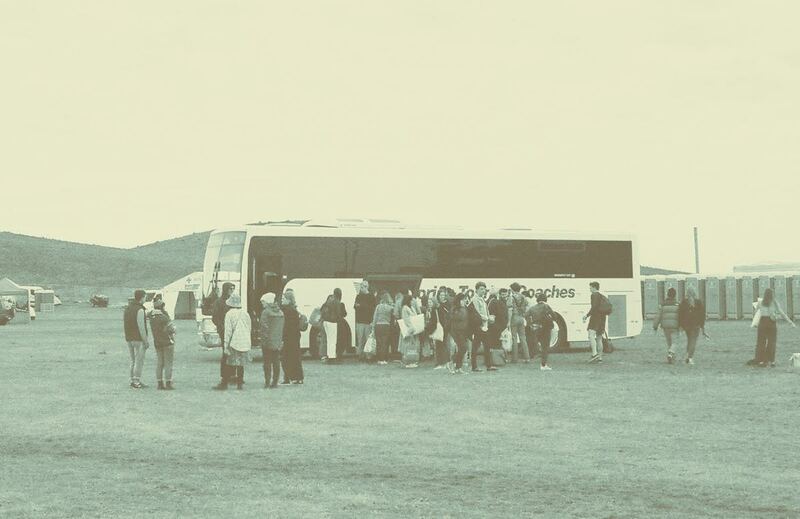 The bus departs the festival on Monday 1st of April at 10am at the same place you get dropped off.